If your time is limited (whose time isn’t? ), and if your tolerance for bad TV is minimal (whose isn’t?) and if you are weary of those clickbait “must binge!” lists that have proliferated on the Web . . . then the answer is likely: Not. But I hear your pain. It is with that in mind that this “binge” list has been constructed. Watch any of these — or not! It’s your life, your choice. Nevertheless, these are my own idiosyncratic choices, and come with my own Good Housekeeping Seal of Approval. Bleak House (Hulu). This Andrew Davies BBC adaptation based on one of Dickens’ greatest novels stars Gillian Anderson as the aptly named Lady Dedlock (her first utterance: “I am bored to death with this place, with my life, with myself . . . ”) It’s magnificent, and all 15 episodes are here. The Affair, season two (Showtime Anytime). If you haven’t seen the first season, you do have to watch (at least) the first couple of episodes and the last couple. But the second is superior to the inaugural season. Producer and creator Sarah Treem has worked out the complex narrative kinks that occasionally tangled the first, yielding a smooth and utterly engrossing viewing experience. Meanwhile, I have strong feelings about the finale, and you can read about those here. Warning: There are spoilers. The Leftovers (HBO Go). One of my favorite series from 2014, and while I have a long way to go before I finish the second season, from what I’ve seen so far, this one is terrific too — especially rewarding to those who want to wade into Damon Lindelof’s exploration of life’s meaning, as seen through the lens of those who have no choice but to explore the meaning. Bosch (Amazon Prime). “Bosch” scores on three key points — actor, producer, author. Eric Overmyer produces, and he’s one of TV’s finest (also an executive producer of “Treme”). It stars Titus Welliver, who is one of those great American actors who makes everything better — “The Good Wife,” “Deadwood,” “Big Apple.” (Who but me remembers the excellent “Big Apple”?) Finally, “Bosch” is based on one Det. Hieronymus “Harry” Bosch — a creation of one of my favorite authors, Michael Connelly. Homeland, fifth season (Showtime Anytime). The fifth season, which concluded Dec. 20, is the best so far — a pounding thriller that (inadvertently, of course) gets so close to real world events it almost seems to eerily anticipate them at times. Added bonus: This season stars Miranda Otto, as a double agent and doubly dangerous Carrie Mathison (Claire Danes) foe. She’s fabulous. Here are some additional thoughts about the season and finale but, beware, spoilers abound. The Last Kingdom (BBCAmerica.com). This eight-part BBC adaptation of Bernard Cornwell’s historical novel series “The Saxon Stories” is about a ninth century Britain ruled, in large measure, by the Danes. And from what I’ve seen: It’s a beauty. The British press drew comparisons with “Game of Thrones,” but that seems a stretch except in one respect: Death comes often and ruthlessly. Gareth Neame (and Nigel Marchant) of “Downton Abbey” are producers. Ash vs. Evil Dead (Starz on Demand). Starz has turned into a reliable binge destination — especially for “Outlander” and “Black Sails” . . . fine, “Da Vinci’s Demons” too. But for lovers of comic horror, this is the one; binge, and it is like popcorn; watch one episode, impossible not to watch the next. Not for everyone: Disgusting, grotesque, and lots of severed heads — invariably the heads of the undead. But the special effects are lavish and stunning. Better Call Saul (Hulu). 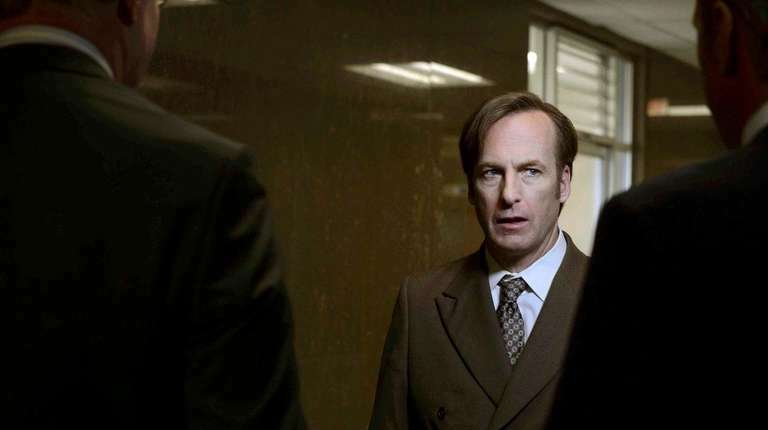 The hugely enjoyable spinoff/prequel of “Breaking Bad” begins strongly, gets better. This is the perfect binge project, largely because it grabs your attention and never once releases its hold. And then, there’s that cast: Rhea Seehorn, Michael McKean and the incomparable Bob Odenkirk. Longmire (Netflix). Walt Longmire (Robert Taylor) is sheriff of Absaroka County, Wyoming. Also psychically bruised and brooding, he’s a man as lonely and as alone under that vast Western sky as a solitary spruce. . . . Enough! You get the idea, and here’s the punchline: The series, now on Netflix, is great. No kidding.